DISCLAIMER: Avara Custom provided me with the AV2 in return for my honest opinion. I am not personally affiliated with the company in any way, nor do I receive any monetary rewards for a positive evaluation. The review is as follows. Avara Custom is a company that recently made waves in my hometown of Jakarta, Indonesia; promising competitive CIEMs at affordable prices. Founder Alvon Harianto first conceived the company to combat the three problems that plague commercial CIEMs in Indonesia today: lengthy turnaround times, inaccessible prices and the hassle of maintenance. After months of pre-production, Avara officially launched early this year with a bang. Equipped with 3D-printed shells, numerous cosmetic options and impressive sonic performance, their debut models quickly rose to the apex of value. The one we have for review is the AV2, priced at IDR 3,000,000 (just over US$220 at the time of writing). It is by far the most affordable CIEM in my collection, and it is one of the most transparent 2-driver IEMs I’ve ever heard. Avara built and shipped the AV2 within five days of receiving my ear impressions. They arrived in a white box with a glossy purple Avara logo embossed on top. 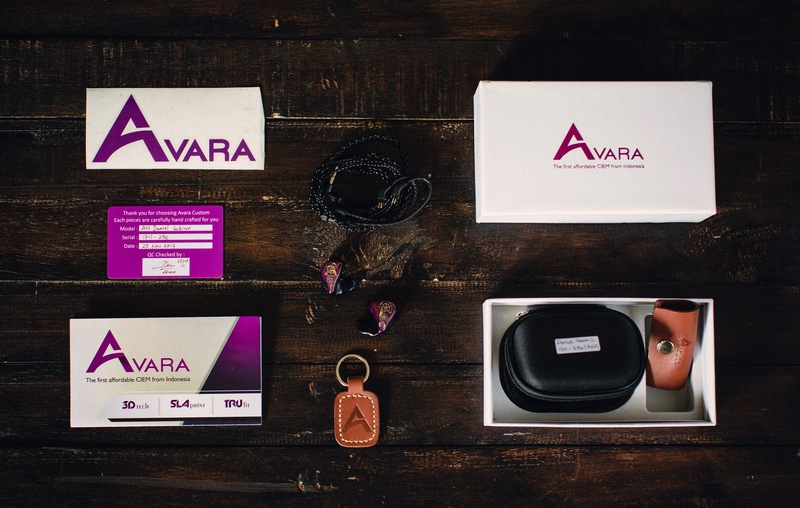 Alongside the IEMs themselves, the company included a catalog brochure, a warranty card, a small zip-up case, a cleaning tool and various forms of apparel; including an Avara cable clip, sticker and keychain. Now this is the kind of effort I wanna see put into accessories and branding. I commend Avara for offering superb value without falling into the trap of cutting corners, and I’d love to see other manufacturers follow suit. Cosmetically, I decided to go all out on my AV2’s design; boasting candy black shells, Amara wood faceplates, mechanical watch parts, and gold Avara logos. The extras I chose bring the total cost up to IDR 4,200,000 (just over US$310 at the time of writing); a still-modest price compared to the rest of the competition. Physically, the AV2 is one of the best-built IEMs in my collection. The 3D-printed shells flaunt an even flawless finish, and they shine brilliantly in the light. Where most budget companies struggle with build, the AV2 flourishes with flying colours. So far, it’s proven itself as a product that should be taken very seriously, and that sentiment all but continues when it comes to sound. Hi deezel. Personally, which would you recommend among the avara custom v2, symphonium audio aurora and fiio fh5? Thanks! Unfortunately, I haven’t heard the Aurora or the FH5 yet. I should be auditioning them within the next couple months, so please remind me then if you don’t mind waiting. Thanks for your comment! Unfortunately, I’ve yet to hear the FH5. I haven’t been able to find it in the stores I regularly visit on my trips to Singapore. If I do get the chance to visit Singapore again sometime soon, I’ll try to find the FH5 to demo and compare the AV2 against. Thanks so much for your comment. I look forward to responding to you again soon. Hi, deezel. 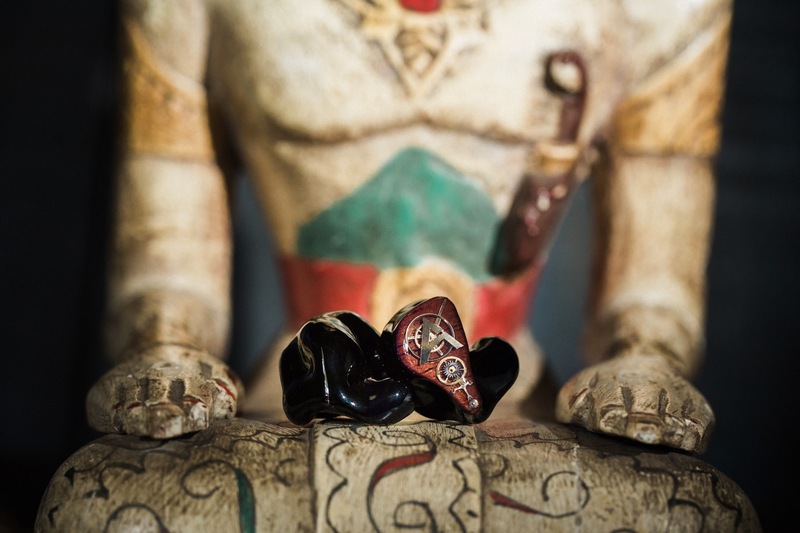 I’m looking to get a earpiece within the 300 dollars range. Personally, which would you recommend among the avara custom v2, fiio fh5 and Symphonium Audio Aurora . Thanks! Hi, Deezel. Have you compare it to AV3? I’m curious about their line-up difference.